As an architect, I find the possibility of thinking about architecture in the metaverses very fascinating. What is impressive is the infinite freedom of design there is in SecondLife and this is why I’m quite disappointed with the ways currently used to represent architecture. If architecture can be defined as a discipline, whose aim is to design space in which human beings live, then the same definition can also be applied into SL, substituting “human being” with “avatar”. Lets think of these factors in relation to virtual architecture. In SL Architecture, one of these factors is superfluous, and not only that but venustas masks one of these factors with a structural issue firmitas. In a world without gravity (or low gravity) and without dangers of instability, I don’t regard everything relating to the structural paradigm very interesting. Probably, if Vitruvio, or other writers of treatises, had known about SecondLife, he would have shown us that it’s not essential to use solids to make beams and pillars appear. In fact, beams and pillars in SecondLife are only part of an aesthetic issue, of decoration. Architecture in SecondLife should go beyond these formal limitations and in so doing, un-tap its own virtual energy. Some projects could deal with moving architecture: buildings that float in space and move like clock hands, more like a machine than a block of concrete or brick, with buildings that fly like planes and with walls of light. The architecture of SecondLife must free itself from the burden of Real Life because the factors characterizing SecondLife are very different. Architecture that can be taken back to Real Life, I would define as “Spontaneous Architecture”, derived from our “terrestrial anthropocentrism”. While the few examples of projects that exist in SL would crash if you transported them into Real Life due to firmitas, which is superfluous in the metaverse, they are nevertheless the start of a thought process, which has already understood the de-materialization of the terrestrial universe and which projects itself into the near future of a de-materialized life with new rules. Do you have a post you’d like to submit? Send me an IM! (Keystone Bouchard). 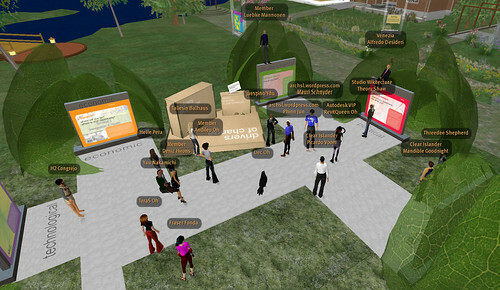 The Bienniel Pacific Students of Architecture Congress has done an outstanding job including Second Life as an integral part of their program, and will be streaming live content from the convention directly into Second Life starting July 1, 2007 on Lebenswelt Island. Check out the speaker list HERE, and the program HERE. Times are listed in New Zealand time, and most of the content will be streamed on Sunday, Monday, Thursday and Friday. These are exciting times for Architecture and Second Life! Sun Microsystems brought Cameron Sinclair to Second Life last month. 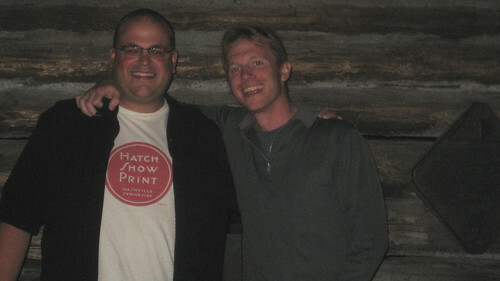 Autodesk brought rockstars Sergio Palleroni and Chris Luebkeman for some unforgettable events. This week, a phenomenal line-up of Second Life events was projected at the Design Museum in London for the Royal Institute of British Architects ‘Architecture Week’ (thanks again to Fraser Fonda!). This month’s ‘Architect‘ magazine mentions Second Life (wtg aloft! ), last month’s ‘Metropolis‘ featured Second Life (wtg Tab Scott! – who was already recognzied for his work in Second Life in ‘Architectural Record‘ and earlier this year). The press mentions could go on and on. If you’re still on the fence, it’s time…. On June 30th, my avatar will turn 1 year old! What a year it has been! Within a few months of my first log-in, Second Life moved me from Wisconsin to Berkeley, drove me to leave a career in real-life architecture behind in pursuit of a virtual alternative, and remains the focus of the lion’s share of my daily activity on a professional level at Clear Ink. I wouldn’t have it any other way. Honestly, not a day goes by that I don’t recognize the fact that I have one of the coolest jobs on the planet, and I really do owe it all to Second Life. When I started, there were a little over 400,000 registered users. Today there are over 7 million. So much has changed! If time permits, I hope to publish some memoires of my first year in Second Life later this week. Stay tuned!